Is a Gardasil researcher really against the vaccine? This article about Dr. Diane Harper has been recently updated. The comments here are closed, so please comment at the new article. Because vaccine deniers lack any scientific evidence supporting their unfounded belief system about immunizations, they tend to rely upon unscientific information like anecdotes, logical fallacies, misinterpretation of data, or Italian provincial courts to make their case about the lack of safety of vaccines. It’s rather easy to debunk these claims, but because of the nature of the internet, old news is recycled as “brand new,” requiring a whole new round of blog posts to discredit the misinformation. It’s impossible to recall one single instance where a vaccine refuser made a statement about vaccines that was not, in fact, rather quickly debunked. Not one. The pro-children’s health side, those of us who think that vaccines save lives, have been winning the hearts and minds for awhile, given that still around 95% of children in the USA get all of their immunizations prior to entering kindergarten. But that doesn’t stop the refusers from trying, because various zombie anti-vaccination memes keep reappearing, especially since the successful pro-vaccine bill was signed into law in California. One of the latest ones involves a so-called lead Gardasil researcher, Dr. Diane Harper, a former “consultant” to Merck (and GSK, who manufacturers Cervarix, a bivalent HPV vaccine), who apparently had some research role in the clinical trials of the HPV vaccines. But what are the facts? Who is this “Gardasil researcher”? What are the vaccine deniers saying? But what did Dr. Harper actually say? HPV is linked to cancers in men and women, and because there are so many subtypes, research has established which HPV types are linked to certain cancers. HPV is believed to cause nearly 5% of all new cancers across the world, making it almost as dangerous with regards to cancer as tobacco. If you are looking for an actual way to prevent cancer, the HPV vaccine is one of the handful evidence-based methods to block some dangerous cancers. According to the CDC, roughly 79 million Americans are infected with HPV–approximately 14 million Americans contract HPV every year. Most individuals don’t even know they have the infection until the onset of cancer. About 27,000 HPV-related cancers are diagnosed in the USA every year. The original HPV quadrivalent vaccine, known as Gardasil (or Silgard in Europe), can prevent infection by human papillomavirus, substantially reducing the risk of these types of cancers. An HPV bivalent vaccine, known as Cervarix, is used in some countries, but only provides protection again two of the subtypes most associated with cervical cancer. The new version of Gardasil, recently cleared by the US Food and Drug Administration, protects teens and young adults from 9 subtypes of HPV, helping prevent even more cancers. Gardasil prevents at least 6 types of cancer, and that’s better than all the “natural” supplements that you could consume. This “Gardasil researcher” is Dr. Diane Harper who has been described as “the lead researcher in the development of the human papilloma virus vaccines, Gardasil and Cervarix.” Dr. Harper herself describes her involvement with the vaccines as “a consultant for both GSK and Merck, for which I was paid.” GSK, also known as Glaxo SmithKline manufactures Cervarix, and Merck, of course, manufactures Gardasil. But that role isn’t the “lead researcher” for the whole clinical trial, and it was for one location. In fact, the Medical Director (or Vice President of Medical Affairs) at Merck or GSK would be responsible for all of the data, all of the research and all of the protocols across the world involved with the HPV vaccine trial. Dr. Harper would have been one cog, amongst many, that didn’t have any strategic role in the research, just data collection. There have been several randomized clinical trials involving Gardasil, and not once is she the lead author which would probably indicate that she was the “lead researcher.” She was one of at least a dozen researchers. She is truly overstating her role in this clinical trial. With that piece of misinformation out of the way, Dr. Harper’s role, as is typical with most pharmaceutical companies, was to manage various aspects of the clinical trial at her institution. That would be everything from making certain that protocols are accurate, that her medical Institutional Review Board approved the trial, that appropriate numbers of patients are enrolled, that placebos and drugs are delivered in a blinded manner to the researchers, and about a few hundred other items. There would have been an intentional wall between her, other clinical trial investigators and the companies, GSK and Merck. . Moreover, she did not “develop” the drug in any meaningful manner, because her role wasn’t in basic R&D, but mostly in clinical trials. 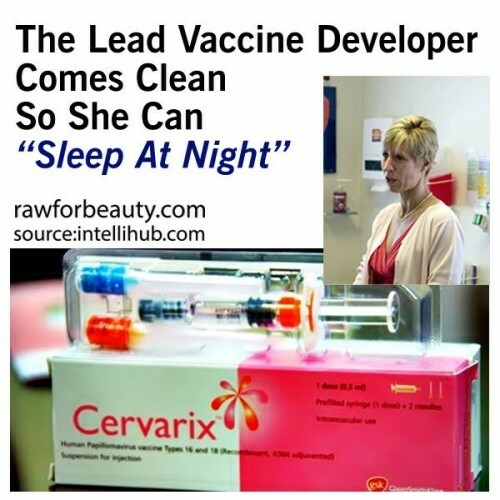 Dr. Harper, as is claimed by a number of vaccine refuseniks (there are numerous websites that repeat the same story, almost verbatim), decided to “come clean” about Gardasil so that she could “sleep at night.” The antivaccination cult have attached themselves to this story, because they think it uncovers a conspiracy of lies by the vaccine manufacturers, since obviously Dr. Harper escaped from the evil clutches of Big Pharma. During a presentation at the 4th International Public Conference on Vaccination, which took place in Reston, Virginia on Oct. 2nd through 4th, 2009, Dr. Harper is alleged to have stated that the cervical cancer risk in the USA is already low, and that vaccinations will have no significant effect upon the rate of that cancer in the USA. It is correct to state that the number of HPV-related cancers is relatively low. Dr. Harper has gone off the rails on this point. Even though the risk of these cancers is low, it is not 0. This misuse of statistics is one of the most problematic issues I have with anti-science, woo-pushing individuals. Over 20,000 cancers, most of them very deadly or damaging, can be prevented quickly and easily with a vaccine that has shown, in massive (100’s of thousands of patients) clinical trials, to not have any serious side effects. None. I don’t get the math of the antivaccine crowd. They round down the consequences of not vaccinating to 0%, and round up the risk of adverse events to 100%–if this weren’t so serious, it would be one of the best statistics jokes ever. Wait, when did she say that the HPV vaccine wouldn’t help? That’s not what I’m reading with that quote. Everything in science is nuanced, so what Dr. Harper said was accurate. [infobox icon=”quote-left”]One must understand how the establishment’s word games are played to truly understand the meaning of the above quote, and one needs to understand its unique version of “science”. When they report that untreated cases “can” lead to something that “may” lead to cervical cancer, it really means that the relationship is merely a hypothetical conjecture that is profitable if people actually believe it. That’s not what she said. What she is saying is that the event is statistically rare, but it is not 0. When science says “it may develop into cancer” it means that for each individual the risk that the cancer “may develop” is small, but when looking at a large group, it’s no longer “may”–it is definite that some number of that group will contract the cancer as a result of an HPV-infection. We don’t know why some women will get cervical cancer and some won’t. Some women have better screening (but even finding it early can have bad consequences for reproductive health). Typically, science deniers, including the antivaccination gang, lack understanding of how statistics work. A low risk is not a zero risk. But on the other hand a low risk is not a 100% risk (the antivaccine crowd works both angles). But let’s set this aside, and go back to Dr. Harper. Guess what? The truth is a lot different. Dr. Harper’s view on the HPV vaccine is not a secret. She has published several articles about HPV, cancer and HPV vaccines. In one article, she distinctly states her point of view. She says we do not know how the protection from the vaccines will last, and this might affect a cost-benefit decision about the vaccine. She is not saying that it’s a safety vs. benefit question, merely that the cost of an HPV immunization program, if the effect of the vaccine is not long enough, could mean that it is too expensive for the expected results. I would argue with her that there is a value of saving even a handful of lives. I wouldn’t be troubled by the cost of the HPV vaccine (well, unless it were $1 million per dose or something), given that it has a measurable effect on reducing the risk of cancer, and would purchase it for my daughters. She also stated that she is concerned about the aggressive advertising campaign of Merck, which may lead individuals to believe they are now completely invisible to HPV, so they may avoid other STD-preventing precautions, which might lead to higher rates of other types of STD’s, even HIV infections. This is valid, since this invincibility is suggested by Merck’s advertising. Moreover, many of us in the biomedical field, even ones who have worked for Big Pharma, are disgusted by the advertising claims for prescription pharmaceuticals. Dr. Harper also suspects that women who get the HPV vaccine are probably the ones who will be more punctilious about scheduling and visiting their doctor for every one of their cancer screening appoints, so the vaccination would have little impact on their risk of death from cancer. But even there, she states that this select group will benefit in the reduction in certain conditions caused by treating for precancerous changes in cervical cells. Dr. Harper continues to publish research about the effectiveness of HPV vaccines, including a recent one that reported studies have underestimated the vaccine’s effectiveness against some HPV types. She was one of over 20 researchers involved, so none of that “lead researcher” claims have much credence. She has published a couple of “Dear Editor” letters in medical journals that seem to support her idea that Gardasil (but again, no comments about Cervarix) is not useful. But those are opinion pieces, not peer-reviewed research. But do you know what is the most telling point about Dr. Harper? If she’s so negative about vaccines in general, and Gardasil specifically, where are her rants on antivaccination websites? Because other than the articles which misrepresent Dr. Harper’s actual viewpoint about Gardasil, it’s impossible to find any writing from Dr. Harper stating, either implicitly or explicitly, that she thinks that Gardasil is bad. Again, she speculates that cervical cancer screening may be just as useful, but nowhere does she recommend that the vaccine not be used, that it’s safety profile is unacceptable, or that the vaccine cannot prevent cancer. In fact, she recommends expanding the guidelines for HPV vaccines for older women because as they age, they are more susceptible to other serotypes of HPV, against which Cervarix confers protection. She also states that Cervarix may also have a protective effect against some autoimmune disorders. This does not sound like a researcher who is losing sleep about the HPV vaccine, but who fully supports its use, with some exceptions. And here’s a problem with screening–it may include a diagnosis of cancer. Every physician who practices real medicine (and in fact, it’s the bailiwick of every person who practices junk medicine), prevention matters more than diagnosis. Women who get a diagnosis of “precancerous cells” from a pap smear are horrified and frightened. Of course, we have good screening methods to these cancers, but what if we have a vaccine that reduces the risk of those cancers? That’s infinitely better than the diagnosis. I don’t understand her logic. But where are the studies that support such a claim? There are none, there is simply nothing published that indicates that Gardasil is associated with serious adverse events, even when the studies included one million patients! Maybe she is uses passive data from the Vaccine Adverse Event Reporting System (VAERS), a system where individuals can report supposed adverse events post-vaccination, to “prove” certain adverse events. VAERS is one of the favorite “research tools” of the antivaccine crowd. VAERS reports can be made online, by fax or by mail. However, there are no investigations to show any type of causality between the vaccination event and the claimed morbidity or mortality that are reported to the VAERS database, and, frankly, it can be gamed by those with corrupt intentions. VAERS is a feel-good system for those who think that there’s a link between vaccines and something terrible, but without an active investigation, the data is just above the level of totally meaningless, and is absolutely not scientific. Most epidemiologists know it is valueless. Even the VAERS system itself says that the data cannot be used to ascertain the difference between coincidence and true causality. There is a background rate for mortality, across all causes, irrespective of whether an individual is vaccinated or not, and unless you understand the background rate, the vaccine “mortality” rate has no scientific meaning. In fact, we could provide a Starbucks coffee drinking in the car “mortality rate”, which may or may not have any causality whatsoever. [infobox icon=”quote-left”]So far, 15,037 girls have reported adverse side effects from Gardasil alone to the Vaccine Adverse Event Reporting System (V.A.E.R.S. ), and this number only reflects parents who underwent the hurdles required for reporting adverse reactions. There is simply no evidence that 44 girls “are officially known to have died from these vaccines.” This is one of those myths that keep getting transmitted by one antivaccine group to another, much like an HPV infection. Using VAERS to make any kind of conclusion is merely an intellectually lazy and ignorant method of trying to make a point. Real research done by real researchers published in real journals show no evidence of any kind that Gardasil does anything but prevent HPV infections in young girls. Real evidence found in real case controlled epidemiological studies has established the fact that Gardasil is extraordinarily safe, maybe one of the safest vaccines EVER. Gardasil researcher Dr. Diane Harper appears to be a fine scientist, an individual who has spent a lot of time studying HPV and vaccines. She has the academic training and research credibility at a level that if she said “Gardasil is dangerous”, many of us would stand up and begin to wonder. But the facts are she has not said anything of the sort about Gardasil and Cervarix, except in an interview.. In peer-reviewed articles published in important, high impact journals, she has given strong, but scientifically qualified, endorsements to HPV vaccines. These are the facts. Any other allegations about her lack of support for vaccinations is based on misinformation, disinformation and lies. Gardasil does not increase sexual activity of young girls. HPV vaccinations were found to be extremely safe, with no serious adverse events observed in large clinical trials. And it has been shown to reduce the prevalence of HPV in young women. These are the scientific facts, and from them, we can conclude, as did Dr. Harper, that HPV vaccines prevent cancer and save lives. Dr. Diane Harper had a “consultant” role during clinical trials for Gardasil and Cervarix. Dr. Harper was compensated by Merck and GSK for those clinical trials. Dr. Harper may or may not have said that the vaccine’s economic benefits are sufficient to recommend it. Dr. Harper has made infrequent and unsupported claims about Gardasil’s safety, though interestingly, never about Cervarix. Dr. Harper continues to publish positive research about HPV vaccines, including Gardasil. Dr. Harper was obviously used by the antivaccine movement, and is frequently misquoted. This is sad. Editor’s note: This article was originally published in August 2013. It has been completely revised and updated to include more comprehensive information, to improve readability and to add current research. Also, there were some inaccuracies about Dr. Harper’s “lead researcher” claims that needed clarification. Arnheim-Dahlström L, Pasternak B, Svanström H, Sparén P, Hviid A. Autoimmune, neurological, and venous thromboembolic adverse events after immunisation of adolescent girls with quadrivalent human papillomavirus vaccine in Denmark and Sweden: cohort study. BMJ 2013 Oct;347:f5906 doi: 10.1136/bmj.f5906. Impact factor=17.215. Bednarczyk RA, Davis R, Ault K, Orenstein W, Omer SB. Sexual activity-related outcomes after human papillomavirus vaccination of 11- to 12-year-olds. Pediatrics. 2012 Nov;130(5):798-805. doi: 10.1542/peds.2012-1516. Epub 2012 Oct 15. PubMed PMID: 23071201. Impact factor: 5.119. Centers for Disease Control and Prevention (CDC). Human papillomavirus vaccination coverage among adolescent girls, 2007-2012, and post-licensure vaccine safety monitoring, 2006-2013 – United States. MMWR Morb Mortal Wkly Rep. 2013 Jul 26;62(29):591-5. PubMed PMID: 23884346. Ferris D, Samakoses R, Block SL, Lazcano-Ponce E, Restrepo JA, Reisinger KS, Mehlsen J, Chatterjee A, Iversen O-E, Sings HL, Shou Q, Sausser TA, Saah A. Long-term Study of a Quadrivalent Human Papillomavirus Vaccine. Pediatrics. 18 August 2014. doi: 10.1542/peds.2013-4144. Harper DM. 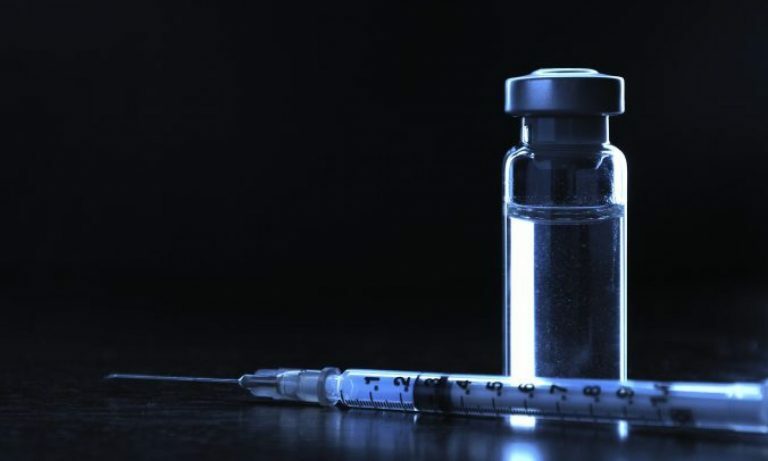 Preliminary HPV vaccine results for women older than 25 years. Lancet. 2009 Jun 6;373(9679):1921-2. doi: 10.1016/S0140-6736(09)61045-X. PubMed PMID: 19501728. Impact factor: 39.060. Harper DM, Vierthaler SL. Next Generation Cancer Protection: The Bivalent HPV Vaccine for Females. ISRN Obstet Gynecol. 2011;2011:457204. doi: 10.5402/2011/457204. Epub 2011 Nov 2. PubMed PMID: 22111017; PubMed Central PMCID: PMC3216348. Lowy DR, Schiller JT. Prophylactic human papillomavirus vaccines. J Clin Invest. 2006 May;116(5):1167-73. Review. PubMed PMID: 16670757; PubMed Central PMCID: PMC1451224. Impact factor: 13.069. Markowitz LE, Hariri S, Lin C, Dunne EF, Steinau M, McQuillan G, Unger ER. Reduction in Human Papillomavirus (HPV) Prevalence Among Young Women Following HPV Vaccine Introduction in the United States, National Health and Nutrition Examination Surveys, 2003–2010. J Infect Dis. (2013). doi: 10.1093/infdis/jit192. Impact factor: 6.410. Struyf F, Colau B, Wheeler CM, Naud P, Garland S, Quint W, Chow SN, Salmerón J, Lehtinen M, Del Rosario-Raymundo MR, Paavonen J, Teixeira JC, Germar MJ, Peters K, Skinner SR, Limson G, Castellsagué X, Poppe WA, Ramjattan B, Klein TD, Schwarz TF, Chatterjee A, Tjalma WA, Diaz-Mitoma F, Lewis DJ, Harper DM, Molijn A, van Doorn LJ, David MP, Dubin G; HPV PATRICIA Study Group. Post hoc analysis of the PATRICIA randomized trial of the efficacy of human papillomavirus type 16 (HPV-16)/HPV-18 AS04-adjuvanted vaccine against incident and persistent infection with nonvaccine oncogenic HPV types using an alternative multiplex type-specific PCR assay for HPV DNA. Clin Vaccine Immunol. 2015 Feb;22(2):235-44. doi: 10.1128/CVI.00457-14. Epub 2014 Dec 24. PubMed PMID: 25540273; PubMed Central PMCID: PMC4308870. Szarewski A, Skinner SR, Garland SM, Romanowski B, Schwarz TF, Apter D, Chow SN, Paavonen J, Del Rosario-Raymundo MR, Teixeira JC, De Carvalho NS, Castro-Sanchez M, Castellsagué X, Poppe WA, De Sutter P, Huh W, Chatterjee A, Tjalma WA, Ackerman RT, Martens M, Papp KA, Bajo-Arenas J, Harper DM, Torné A, David MP, Struyf F, Lehtinen M, Dubin G. Efficacy of the HPV-16/18 AS04-adjuvanted vaccine against low-risk HPV types (PATRICIA randomized trial): an unexpected observation. J Infect Dis. 2013 Nov 1;208(9):1391-6. doi: 10.1093/infdis/jit360. PubMed PMID: 24092907; PubMed Central PMCID: PMC3789574.